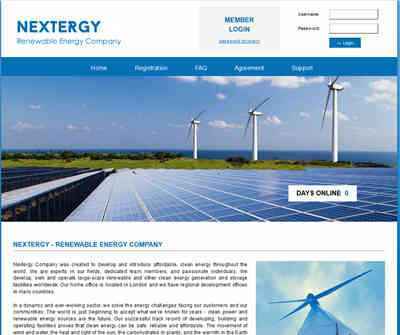 Nextergy Company was created to develop and introduce affordable, clean energy throughout the world. We are experts in our fields, dedicated team members, and passionate individuals. We develop, own and operate large-scale renewable and other clean energy generation and storage facilities worldwide. The explosive growth of renewable energy has shaken up the energy industry over the last decade. As solar and wind costs continue to fall and bottlenecks such as storage capacity decrease, we believe that renewable energy will comprise for most of global power generation very soon. While fossil fuels will still be a massive source of power, the growth in renewables will still be impressive. And that impressive growth could be worthy of portfolio position for investors. The easiest way to play it is through the NEXTERGY - Renewable Energy Company.